Details in the links above. What do you guys think? @MSBi Cool, I guess. But if it's just a slim then I'm perfectly happy with mine until it breaks. Oh well we got like 2 weeks till that PlayStation event, which im pretty sure will officially show off Neo, Slim, VR, and maybe announce some smaller things like PS1 classics hitting PS4, or some of the other new things for the new firmware. @DMCMaster There's supposed to be a Vita thing too according to rumours. It looks nice, I like it, but I won't give up on my MGS V LE PS4 to get one of these. It would be cool if they offer varied colour choices. The other huge issue with vita is the account management on it. Having to reset the system to switch user is a complete pain and a reason why I don't own as many PS1 games. I am actually looking forward to the PS4 neo and how Sony will handle the press event I.e. whether a new handheld will be announced and how they can incorporate everything together as one service would be mint. I'll totally be down for it. I already own a PS4 so slim is only an option for people who couldn't afford the new model. I think it is already surprising that both Microsoft and Sony is considering mid way console upgrades because that makes me think whether we are going to be getting shorter console generations in the future. I don't like for that to happen. I actually wish they didn't do a slim. It's just confusing the message. It's not that much smaller in practical terms though they will say "it's 25% smaller". The original is already puny and sleek. They should just focus on selling Neo at $399, lower the price of normal PS4 without announcing it at a conference. Just don't be like Microsoft and take customers away from your own product. It's making competition within your own products, and you don't want that. Some people will say, "It's a choice!" but the choice would have been the original PS4 and the Neo. 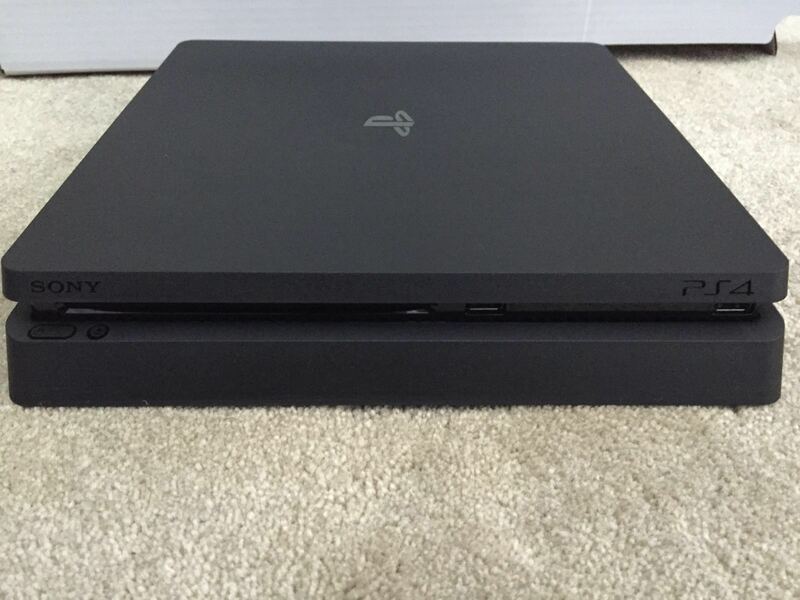 @Whoaness You need to take into account the fact that it's cheaper for them to manufacture and sell a slim than continuing to do so for the OG PS4. Lowering the production cost is always a big factor for introducing these slimmed down versions, and maybe we'll see that either as a new price tag for the slim or them taking advantage of that money to subsidise somehow the cost of the Neo. @crimilde They can still do that without even changing the current look and case of the PS4. The only reason why it's cheaper to manufacture is because they use better and more efficient electronics. Shaving an inch or less of plastic isn't going to do anything. In fact, it would have been way cheaper to just keep the original case so they don't have to fumble with new molds and manufacturing and change their assembly lines. @Whoaness Yeah I see your point. Other than marketing purposes, I guess. Like, it needs to feel fresh again to incite people to get it? I'd guess that you see much more attention given in the media and by consumers to a 'new slim version' than to 'the same old look but more efficient version'. Otherwise I don't think they would have done this for all of their consoles so far. @Whoaness There is no WAY the PS4 Neo will cost $399 or lower. @edsortiz why not. 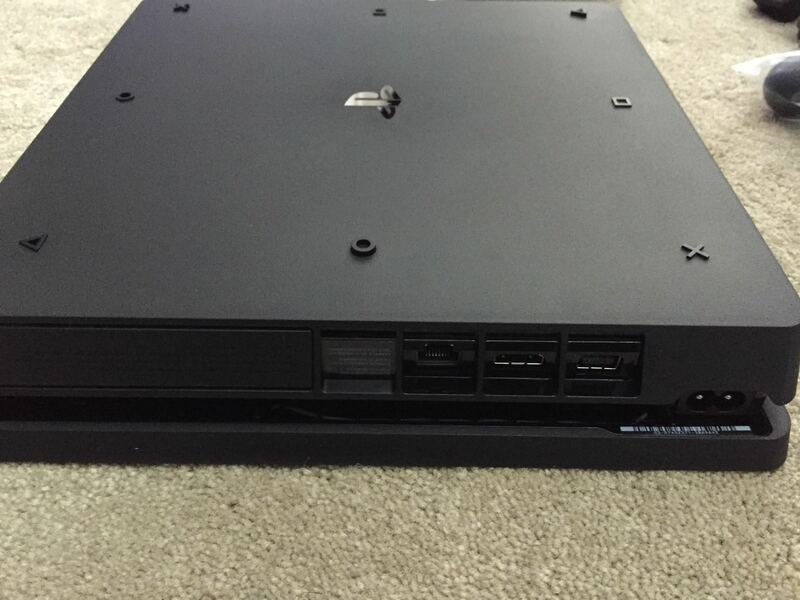 PS4 launched at $399 3 years ago. It's perfectly conceivable that a more powerful model could launch 3 years later for the same price. Hardware becomes cheaper over time. Sony hardware launch photography has really gone downhill. @Alex840 @Whoaness True, but 3 years of hardware value is not really that much. I would say the price drop is like from $50 to $100...and that's basically what the ps4 is being sold for right now, $349. It also has to be seen (unfortunately) from a business perspective. The slim, (like the Xbox one s) will probably be valued lower or at the same price of 299 or 399 (depending on storage) how much do you think you will sell a much better running console? With 4k gaming? Trust me, it wont be 399. If you sell the neo for 399 how much will you sell the normal ps4 for, Or the slim?? for 199?? No way in hell will they ever do that. Ofcourse who wouldn't want that? I sure would.